Since I was into the Flashback theme this Friday, I also decided to join up with Linda of Mocha with Linda. Linda asks a question about the music we listened to in our youth. My family has always been a singing family. My mom played the piano by ear and both of my parents had great voices. Whenever we drove in the car, either my mom or dad would spontaneously burst into song and we'd all join in. "I've Been Working on the Railroad" was sung in three part harmony. I loved when it got to the part about "someone's in the kitchen with Dinah" and "fee fi fiddly i-o". We also sang "You Are My Sunshine". To this day, I often sing it to my husband Greg when he is just waking up. It always brings a smile to his face. We sang many Norwegian songs. I may not be able to speak fluent Norwegian but I know the words to many Norwegian songs from my childhood. My brother Steve and I used to sing onstage at church. If we'd visit another church, we were always asked to come up and sing a song. My mom told me that one year we started singing a Santa Claus song and everyone laughed. It's funny because today neither my brother or I have great voices. In fact, I always laugh and say the Lord loves a joyful noise. As a teenager, I worked in the record department of Billy Blake in West Babylon, New York. Billy Blakes is no longer in business but it was like a Target. I could play any album I wanted while working. Notice I didn't say CD's. Those were the days of the Beatles, Rolling Stones, Elton John and Billy Joel. The Carpenters and Sonny and Cher were famous then too. It was the 60's and a time of rebellion. I remember being invited by a coworker to go to Woodstock in upstate NY but I had to work. 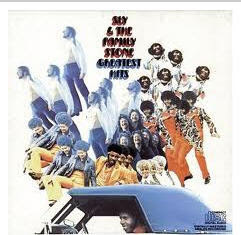 I remember Sly and the Family Stone and going to Madison Square Garden to a concert. I lost my flip flops as the whole crowd joined hands and were dancing. My feet got so dirty walking around New York City in bare feet. I loved Carole King and James Taylor. They performed in Central Park for free! Can you believe it? There are so many more to mention. But I always remember my parents didn't mind my music. We had a record player in the living room and music was always on. I used to go to all of the school dances and even those at the Knights of Columbus. It seemed like every weekend was a time to go out and dance to live bands. 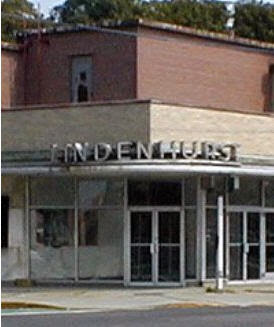 I've reconnected with many high school friends from Lindenhurst on Facebook and even some who often played in a band at all of our high school dances. I'll end this post with a song I loved sung by James Taylor and Carole King in 1971. Hi Debbie, I'm singing along with your post...and yes, I still remember the words too. And records. And the Carpenters. The only difference between you and me is a few years and we sang in Swedish. Enjoyed this little walk down memory lane! Love this post and the musical stroll down memory lane. I STILL love the "records" from the 70's. How fun! You are so precious Debbie! As a child who grew up in the 70's I still sing many songs to this day from that era! from Liverpool and many others. For all the rotten stuff that came out of the 60s, there was a heap of great stuff too! The music is among my favorites still; and Carole King an all-time fav. I loved Friday night dances. I was in H.S. from '62-'66, and I can assure you my dancin' feet rarely rested. I married Terry in the 60s, and had my first child in '69. I wasn't particularly a James Taylor fan, but I did like this song. I sang You Are My Sunshine to my boy at bedtime ever night for years. What a fun stroll down memory lane! I am still humming along with him as I am writing this and listening. I can remember the words to every teen and pre-teen song that was played, to this day! Music was always a big thing in our home too, it still is. I remember our big radio playing the Mormon Tabernacle Choir every Sunday morning as we got ready for church. My mom always aaid no one can sing like they do! I still love a big choir! I enjoyed your musical memories! I love to hear people sing in harmony, I can't carry much of a tune. I love Carole King and James Taylor to this day! I recently saw him doing a concert on GPTV. Unfortunately, I missed Carole's part of the concert. I sing You Are My Sunshine to my grandson all of the time! I used to have a watch that had a Precious Moments picture on the face and it played You Are My Sunshine. The preacher's little daughter always wanted to push the button to make it sing. I always think of her when I think of othat song. She's a teenager now, wonder if she remembers that! I am going to get my music post up later. I love the memories that come back to me as I'm typing my posts each Friday for this! I am familiar with many of the ones you shared. I was big on "Bridge Over Troubled Water" and a few of the Mamma and Papps songs and so many others back then. I also enjoyed singing all the Stylistics and Supremes songs back in those days. Thanks for taking me back to some music memories! I love you my friend and you stay in my prayers! This is great...hope you are enjoying it as much as my husband and I are enjoying doing this with our youth. You grew up in a family of singers like my husband! The picture of your family around the piano is like his family. Your groups are different from mine, but I just got out recently concert programs from the ones I went to...Bee Gees, Beach Boys, etc...my husband took me! Love you and praying for you!!! I loved your post...I'm a huge Carole King/JT fan so I liked the link too. There was so much great music to choose from it was really hard to rally my thoughts today. But I love the topic! many old songs that i still love today. what a fun family you had! How fun to grow up in a musical family! You are my Sunshine...will always be a family favorite around our house. We have passed it down for a couple generations already and will continue to do so:) Makes me smile, laugh, sigh and tear up...all at the same time! Ohhh yes... Debbie ...what a delightful flashback & fun post! How beautiful your family singing moments and memories!!! I remember all of these and enjoyed them too! Add Supremes and so many more!!! What a hoot! I don't believe you anymore when you say you can't sing, you probably sing really well!!! I sang all Shirley Temple songs at 4 yo. This was a JOY! So glad that Linda did this and you joined & shared this. Loved the pic of mom at the piano. Was that in your family? The attached candle holders suggest that it may have been an antique. That picture of my mom playing the piano was taken in Norway at her cousin's house. I'm glad to have missed most of the 60's, but I do love me some James Taylor. I hope to see him in concert one day before he hangs it up. His music is so very soulful. Thanks for your prayers and concern for me. It's been a relatively peaceful week... I pray it remains. I just loved this post, as well as all the ones before it. I've come from the top and scrolled down to here. Hope you still get to read this comment. The singers you mentioned are all familiar to me, they were famous during the 70s when I was in high school, and yes we are the same age aren't we? I love James Taylor and Carole King... the Carpenters. Oh, we did hear so much about Woodstock in New York. You went barefoot in NY? I have been to Central Park in New York...went to the place called Strawberry Fields, if I remember right, sat on the bench to feel the serenity of the place. Heard that it was named after the Beatle John Lennon. Saw his apartment, even the place where he was shot. Oh, such lovely memories your post stirs up in my heart.